Follow these steps to install and boot the Live ISO after downloading the ISO file. 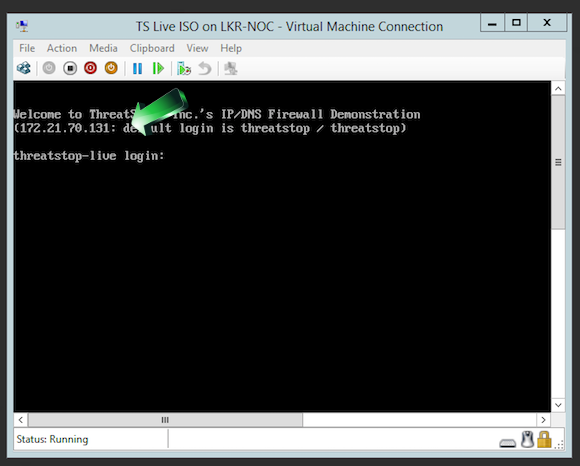 Both options will provide you with a product activation key required to install the ThreatSTOP Live ISO. 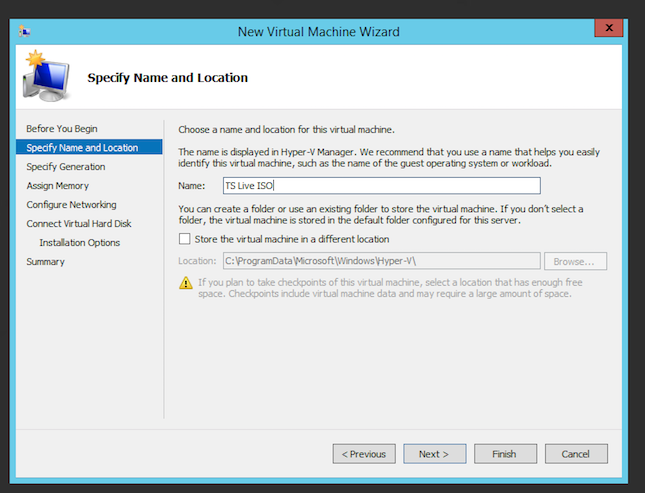 Below are the instructions for installing on common Hypervisor applications. 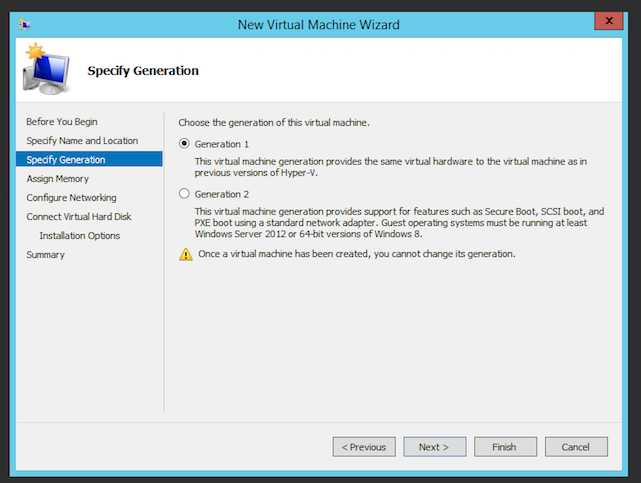 You can use an Hypervisor running on a laptop or desktop machine, such as VirtualBox, Windows 10 Hyper-V, Fusion and Parallels. 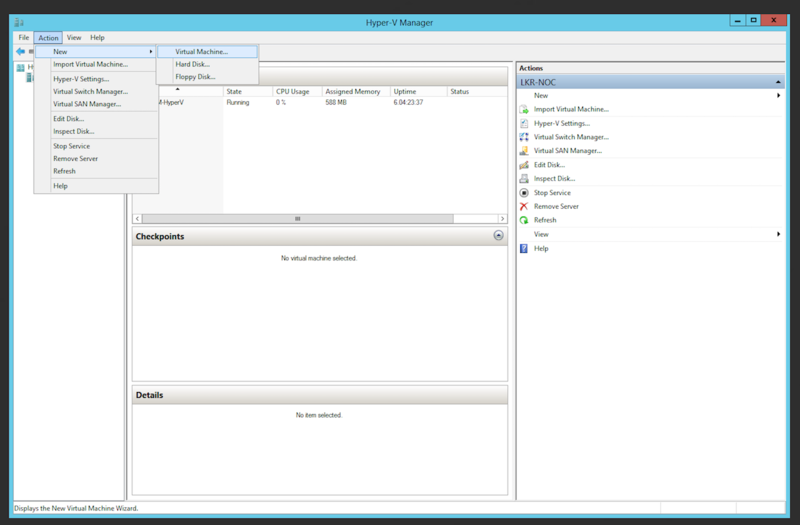 You can also use EXSi, Hyper-V Server and Xen. Please contact us if you need assistance installing the LiveISO on these or other Hypervisors. The image can be downloaded from our FTP site. 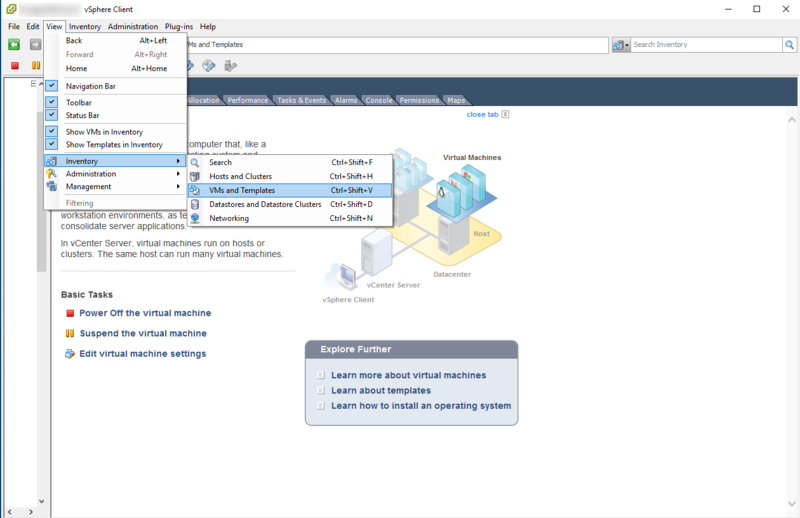 VirtualBox is an open-source Hypervisor available for Windows and OS X. 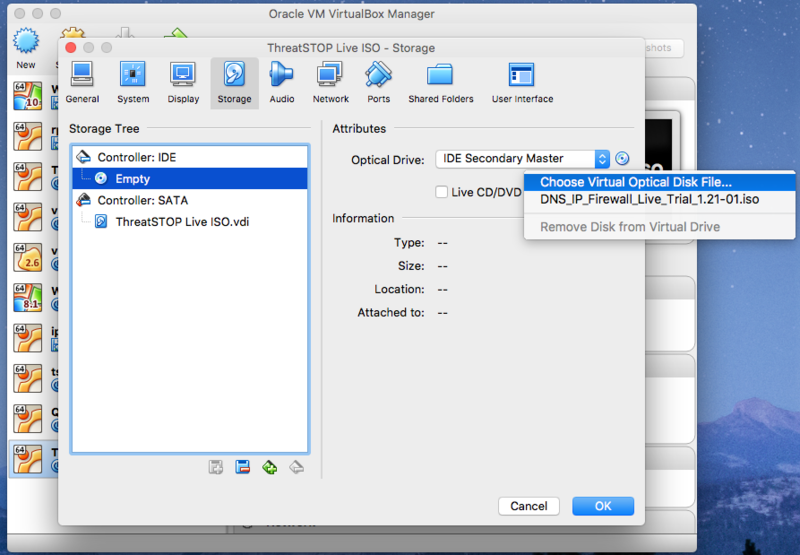 Using VirtualBox on your workstation to run the ThreatSTOP Live ISO provides a quick way of trying our product. 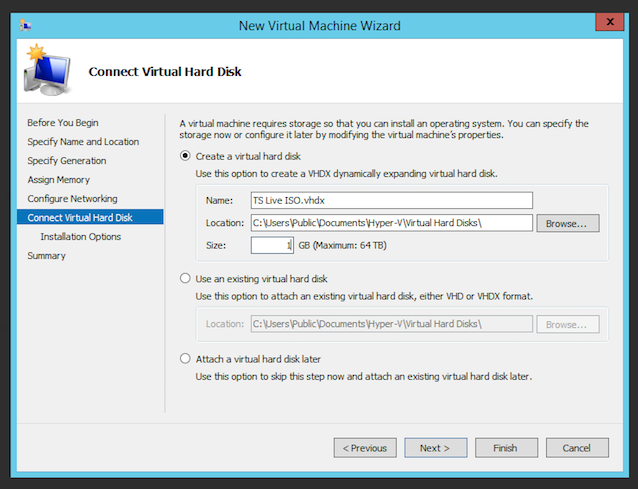 Do not use an existing virtual hard disk file. The hard disk will be erased at boot time. 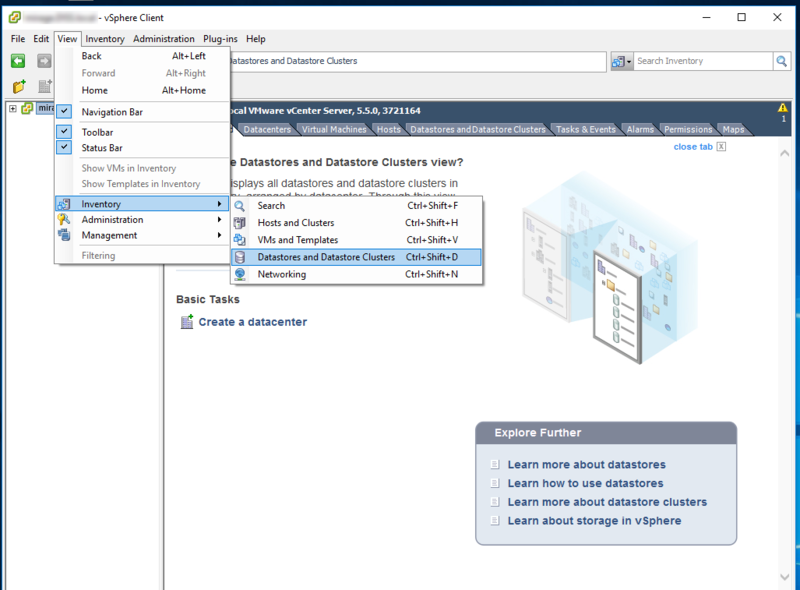 These instructions were created for vSphere 5.5. 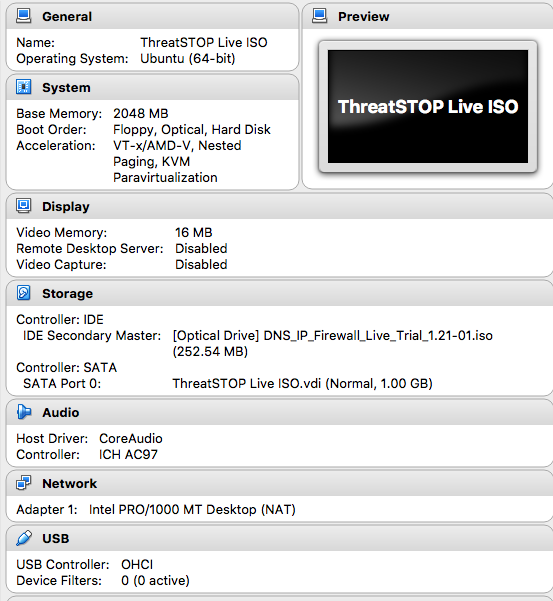 Locate the ThreatSTOP Live ISO image file and click Open. The ISO will be uploaded to the datastore. 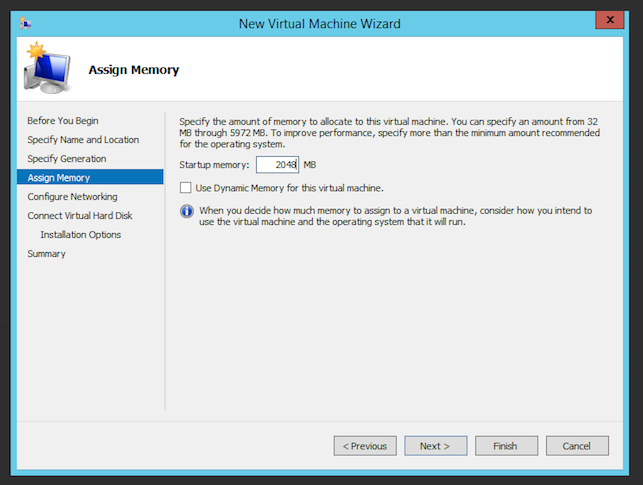 Create a 1 GB Virtual Hard Disk. 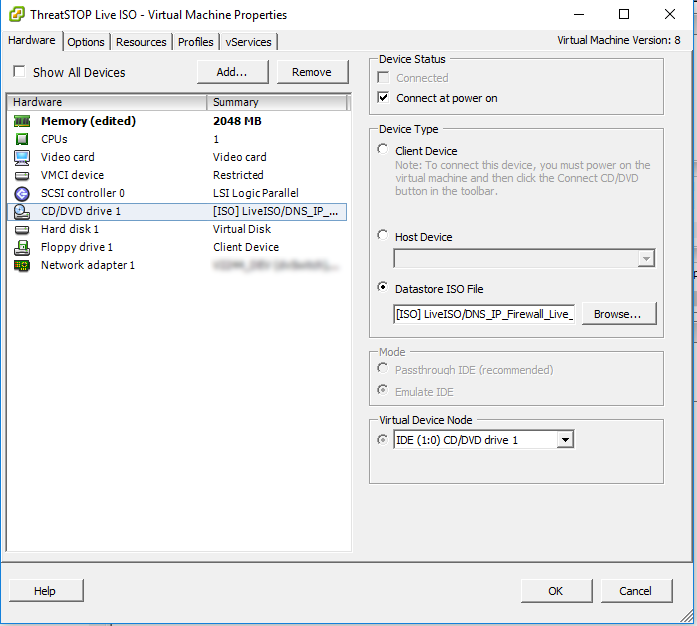 Do not use an existing disk as the disk will be erased during the Live ISO boot. 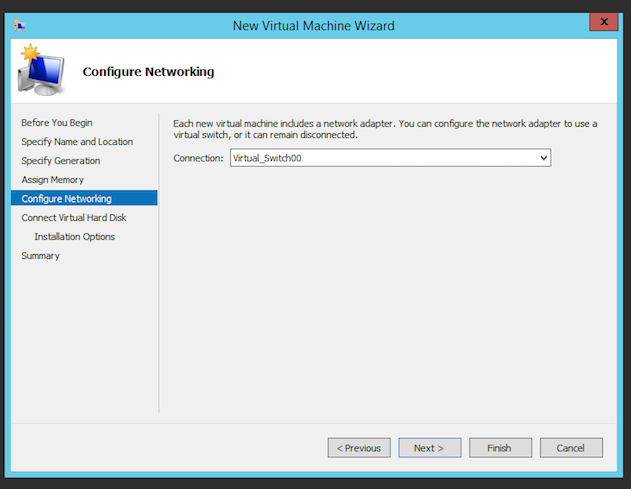 To retrieve the IP address of the Virtual Machine, connect to it. 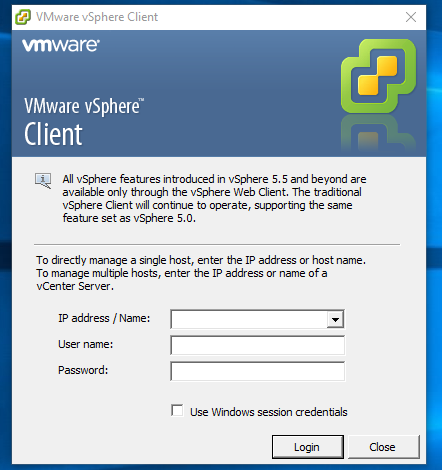 Once the VM has successfully started, its IP address will be shown on the console prompt. 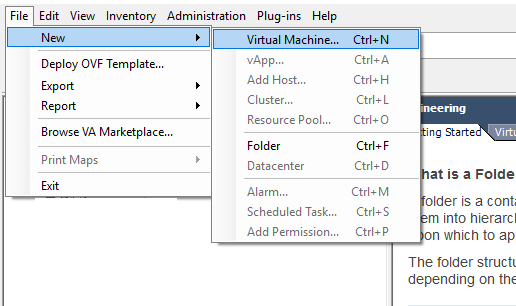 Connect to the Virtual Machine with an SSH client to perform its configuration. It is easier to copy/paste the product key using SSH. 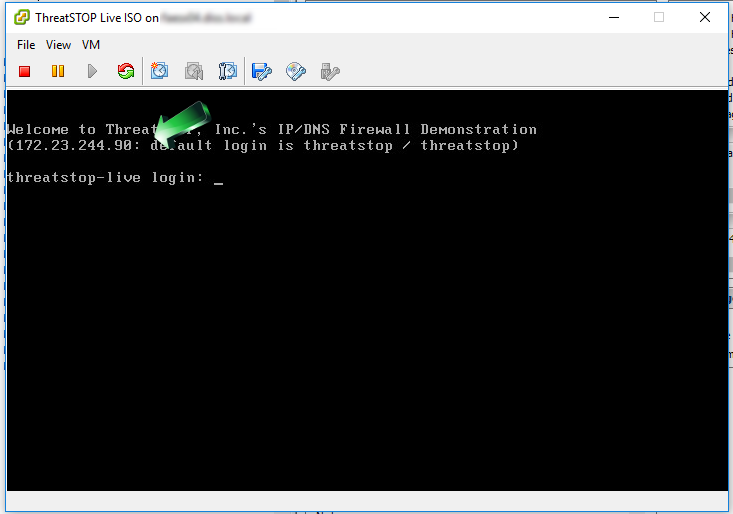 The default username/password for the Virtual machine are threatstop/threatstop. Once connected, you will be prompted for the product activation key generated by the Guided setup or device creation form in the Admin Portal. Copy/Paste the key. 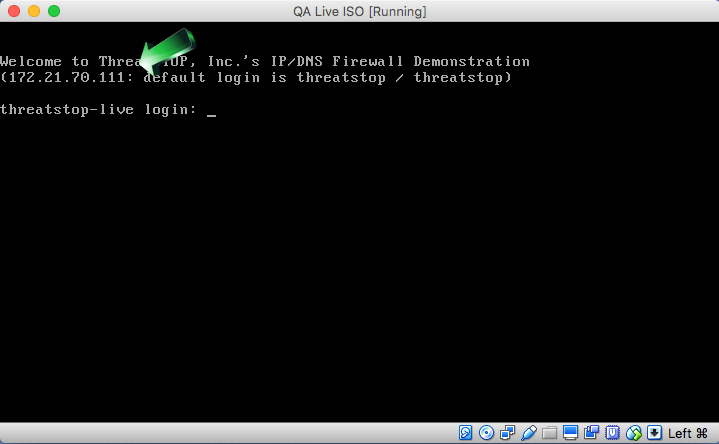 You can enable the DNS Firewall or IP Firewall next. Both can be enabled, in any order. 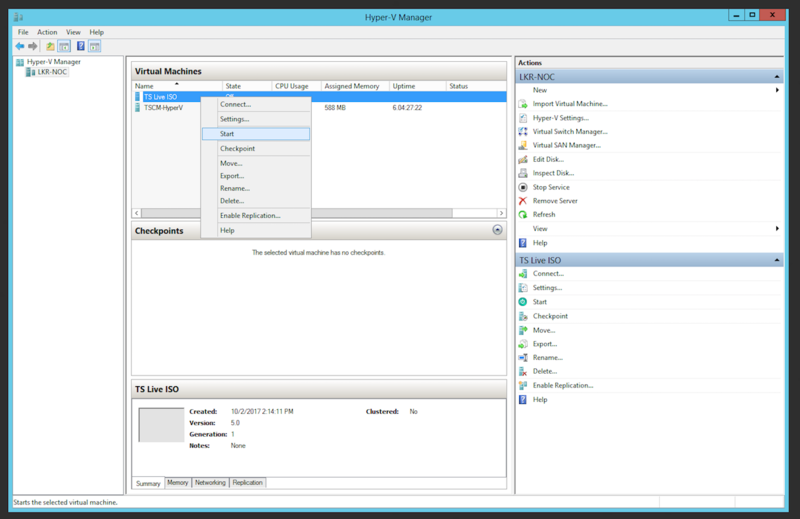 The System Health check menu will validate connectivity to the configuration, policy and log services used to connect the ThreatSTOP Live ISO to the Web-based Portal. The DNS Firewall will retrieve its configuration (most significantly, the name of the policy you selected during the device creation) and the policy itself. 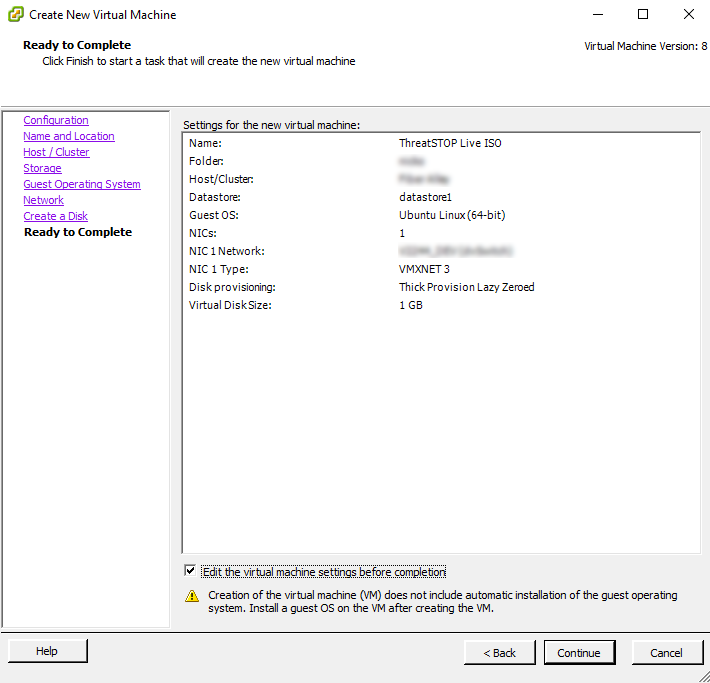 It will be installed in the DNS server (ISC BIND) within a couple of minutes and refreshed periodically while the virtual machine remains running. The policy is ready once the “Policy last updated” menu shows a date and time. The “Test/Confirm DNS Firewall” menu will perform a small volume of DNS queries using test domains and IPs in the policy. Select this option to trigger the upload of sample log files in the Web-based reporting. The P Firewall will retrieve its configuration (most significantly, the name of the policy you selected during the device creation) and the policy itself. It will be installed in the firewall (Linux Netfilter) within a couple of minutes and refreshed periodically while the virtual machine remains running. 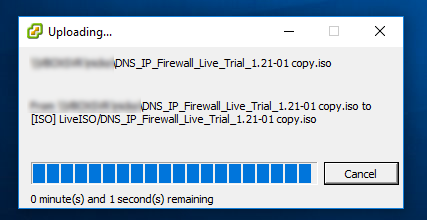 The “Test/Confirm IP Firewall” menu will perform a small volume of TCP connections using test IPs in the policy. Select this option to trigger the upload of sample log files in the Web-based reporting.